It’s day one of Paris Fashion Week, and we’re starting with Gucci, who this season have made the leap from Milan to the French capital - for one show only. Obviously, the show was always going to be great – but tbh, it actually blew us away. Here’s everything you need to know. ... which came with the pretty iconic small print disclaimer that “Gucci is not professionally engaged in the marketing of bulbs”. What did it have to do with the collection? Not actually sure, but we’re gunna say it was a “if you plant it, it will grow” metaphor scenario. Well duh, this is Gucci. Everyone was there, from Faye Dunaway and Jorja Smith to Agnès Varda, Jared Leto (looking like a kind of sleazy Jesus in a red velvet robe) and a heavily pregnant Soko who showed up in a black sequinned jacket and a sheer white lace shirt which proudly showed off her baby bump beneath. 10/10. 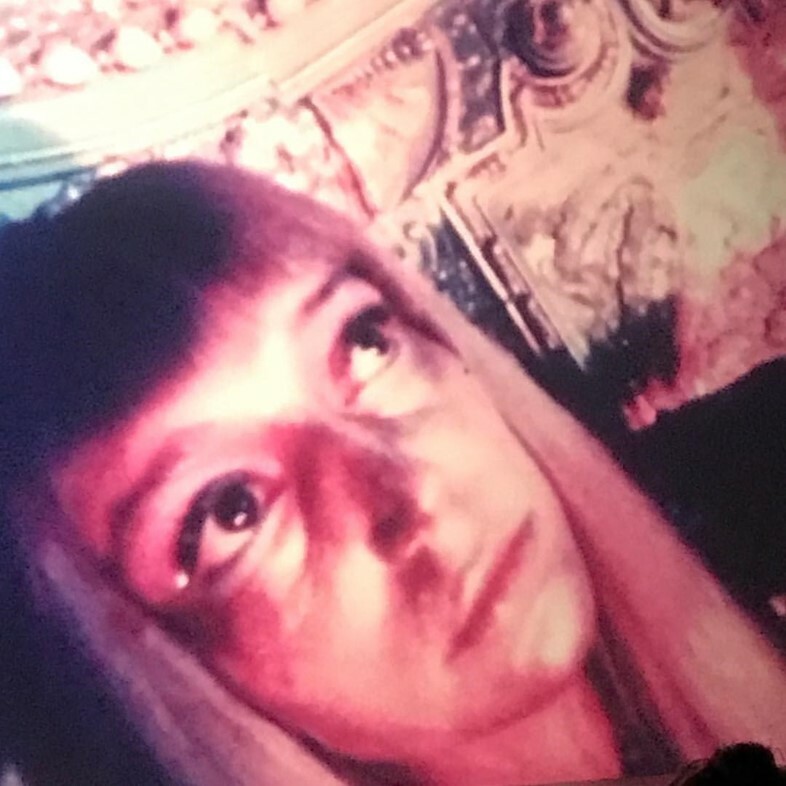 ...which was kind of like an extremely surreal acid trip which featured two seemingly possessed models getting weird in a baroque old house, and looked kind of like Repulsion, if it had been made by Kenneth Anger. Actually though, it was the work of Italian duo Leo de Berardinis and Perla Peragallo, who Michele described as ‘the most passionate and transgressive, the most decadent and irregular dioscuri of Italian experimental theatre. Basically, they’re a pretty big deal. After the film, the models then began filing out of two doors and making their way towards the stage, where they lined up until the show came to a close. The clothes were what we’ve come to expect from Gucci under Alessandro Michele: heavily embellished, eclectic, and pretty much all over the place – in the best way possible. Some made their way through the space in oversized tailored styles layered with fringed waistcoats, while others wore excessively beaded gowns matched with jewelled tiaras (and other casual looks like that). The stand-out look however, was a pair of sequined Y-fronts one model wore over his trousers. Not a look we’re entirely sure will catch on, but who knows? Gucci does have some pretty die-hard fans, after all. Elsewhere, accessories included huge, sleep mask-style sunglasses, crowns, and lunch box-esque bags shaped like Mickey Mouse. Did you know that model Mae Lapres is a real bird fan? If you don’t follow her on Instagram you then probably not. Tonight, one of her feathered friends joined her on stage – a white Cockatoo, who sat quietly on her shoulder. 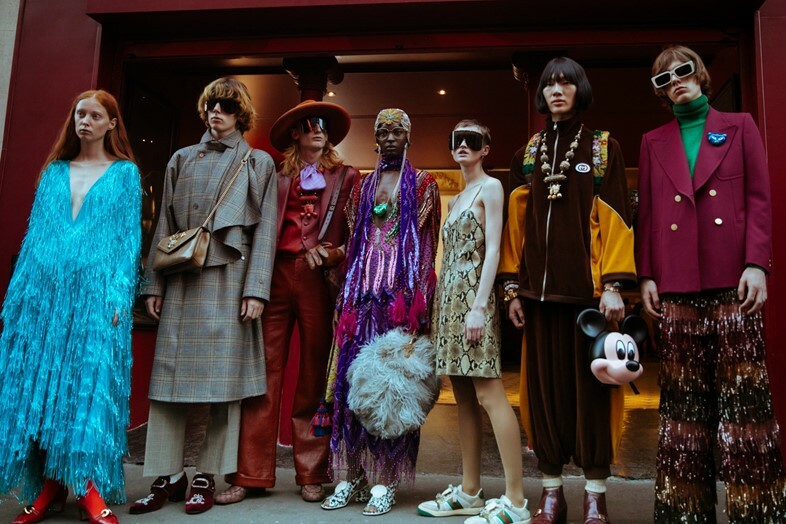 The birds inclusion in the show comes just a few days after Michele launched his latest campaign – which featured a Gucci-fied take on Noah’s Ark. Yes, really. Half way through the show, the legendary singer stood up from her seat, a spotlight shone on her and she began to sing her 1983 single “Baby Alone in Babylone”. After taking his bow, Alessandro Michele went over to thank her in what was actually a v sweet and tender moment. Paris: the bar has been set high.